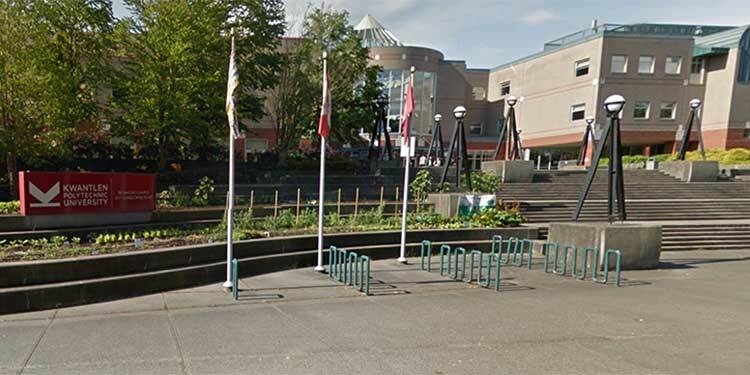 Part of a conference of experts in online, digital, and accessible learning has been moved from Virginia to Kwantlen Polytechnic University’s Richmond campus. And locals have President Donald Trump’s travel ban to thank for it. Canadians extended a welcome to the academic leaders in the wake of Trump’s travel ban which could have stopped some international experts, including a Canadian born in Irak, from attending. The invitation has been sent to experts unable or unwilling to travel to the U.S. for the conference. As a result, the conference, called the Digital Pedagogy Lab, is now full. This KPU event will bring 75 leading scholars from around the world to explore how best to use digital technology in teaching and learning. KPU is considered a world-leader in open access, online learning and digital textbooks. There are many things to be ironed out for digitally-accessed learning and teaching. For instance, anyone can put something online so how are teachers and students to know it’s accurate or that it wasn’t just copied onto the web from copyrighted material? What are teachers’ responsibilities? Will new technology make teachers and students more or less self-reliant? What are the ethics involved in online access for learning, studying, assignments and exams? Calling the upcoming event “important conversations,” organizers say the digital world gives students and institutions the opportunity to blend social justice with education because it lets an increasing number of people of all ages and locations get an education. Conference-goers will also try to figure out what to do when border restrictions on the internet or travel make working together internationally more difficult or impossible. The assembled experts will look for technological solutions to man-made road-blocks. They want people around the world to have easy access to learning and knowledge. While the conference is already full, the two key-note addresses will be open to the public. The first, Friday afternoon July 29 at 3:30 p.m. and the second on Saturday morning at 9 a.m.
“As an institution that values academic freedom, KPU is proud to provide a space for scholars from around the world to hold important discussions about education, technology, progress and social justice,” said Dr. Diane Purvey, dean of the Faculty of Arts.